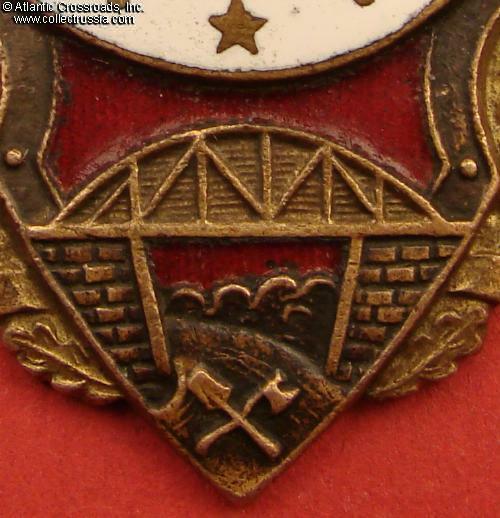 Excellence in Road Construction badge, mid to late 1940s. 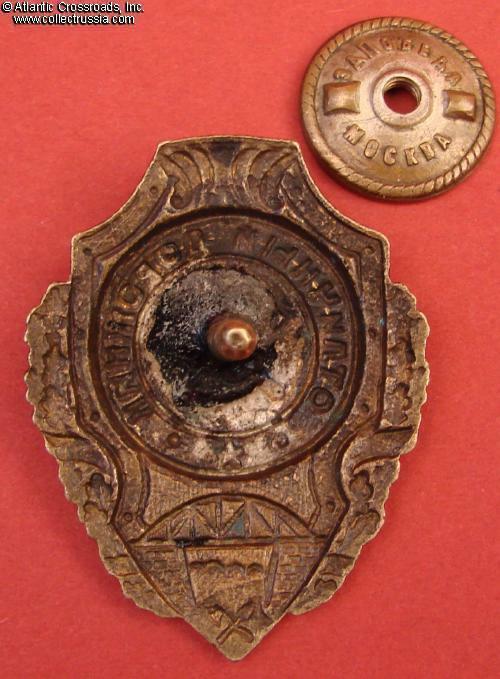 Brass, enamels; 46.0 x 35.6 mm. Features tall ornament above the center medallion, with "scale-like" individual scrolls. In very fine to excellent condition. The enamel shows minor scratches and surface buffing only, no chips or significant flaking. Details are exceptionally well preserved and crisp, including the stonework and beams of the bridge and the road below. Much of the original grey finish on the edge of the shield is present. The black tar-like substance around screw post is factory-applied, not a repair. 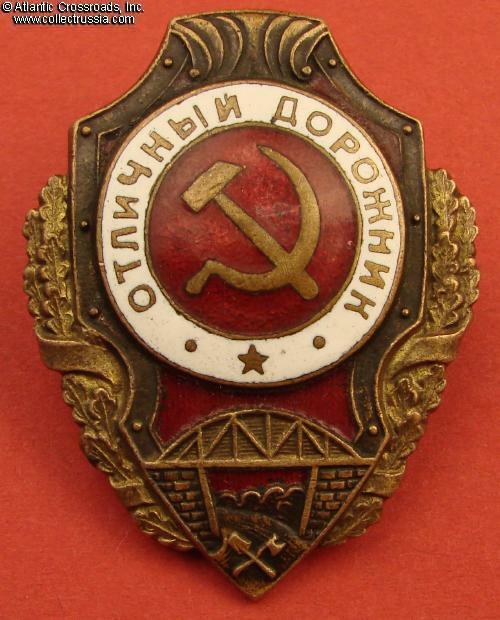 Comes with period screw plate marked "Pobeda Factory, Moscow" which may be original to the badge (even though it is considered an MPS version by Airapetyan). 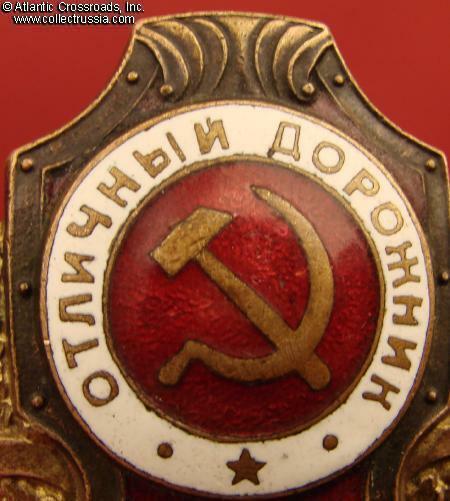 / "Breast Badges of the Red Army, 1941-1945", p. 123, fig. 4/.